Debuting as a child actor, Lee Hyun-woo successfully matured into a young fine actor who worked with famous and equally talented actors and actresses, such as Kim Soo-hyun, Park Hyung-shik, Lee Yo-won, Park Seo-joon, and Yoo Seung-ho. His acting skill has been appreciated as well through the awards that he has received, such as Best Young Actor on KBS Drama Awards in 2008, New Star Award on SBS Drama Awards in 2012, and Rising Star Award on the 30th Korea Best Dresser Swan Awards in 2015. 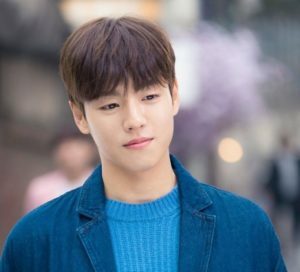 In this article, Channel-Korea will explain all about Lee Hyun-woo which includes his full profile and facts, his age, height, and weight, the list of her television dramas, movies, television shows, and songs, his plastic surgery, his abs, his family, his dating rumor with IU, his military service, and his Instagram feed. So, stay tuned! Lee Hyun-woo likes to listen to Big Bang’s songs, as well as ballad songs. Lee Hyun-woo prefers to get an antagonist role. However, he tends to act as a protagonist more often. Despite starring in in God of Study, Lee Hyun-woo never watched the original version of the drama, Dragon Sakura. Lee Hyun-woo’s favorite sport is football. 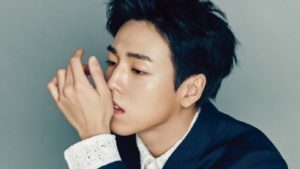 Lee Hyun-woo prefers to star in action movies because ever since he was a child, he has starred in historical and royalty dramas. He said that action movies are challenging, so it must be fun. Lee Hyun-woo has decent martial arts skills because he often starred in historical and royalty dramas. As had been explained in hid personal profile earlier, Lee Hyun-woo was born in 1993. According to the Korean Age System, in 2018 Lee Hyun-woo’s age is 26 years old while according to the International Age System, Lee Hyun-woo is 25 years old. Besides Lee Hyun-woo, there are other Korean female and male celebrities who were born in 1993 as well, such as Yoo Seung-ho, T-ARA’s Park Jiyeon, f(x)’s Luna, Seo Kang-joon, Apink’s Eunji and Bomi, Park Bo-gum, IU, and Bae Noo-ri. On the other hand, Lee Hyun-woo is considered to have a short body as his height is only 172 cm, whereas his weight is 55 kg. 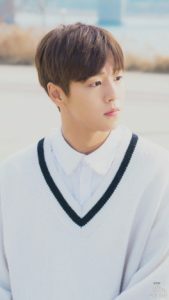 As had been explained at the beginning, Lee Hyun-woo was more known as a child actor which later established his name among the young actors in the showbiz industry. The viewers of South Korea’s historical dramas may have seen him frequently ever since he was a child. 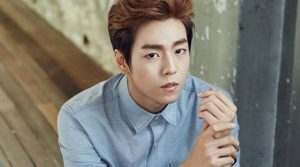 Even so, the genre of dramas that Lee Hyun-woo has played in is not limited as he also acted on the school themed dramas God of Study, Moorim School and The Liar and His Lover, crime movie The Con Artists, and thriller movie Northern Limit Line, as well as music videos which he became the model that depicts the songs’ lyrics. Here you may check the list of Lee Hyun-woo’s drama, films, and music videos below!